I remember watching the 2010 documentary “Fat, Sick and Nearly Dead” with a friend and was completely floored at the way in which the film’s narrator and creator, Joe Cross was able to reverse some pretty serious health issues solely through juicing. The juice fast he undertook (in somewhat dramatic fashion, since he did this while traveling the U.S. with a mini juicer and generator) lasted for 60 days and consisted of a mixture of fresh fruits and vegetables. He called his fast a REBOOT because his body could no longer run efficiently, being bogged down by all the toxins accumulated from years of a high fat, red meat laden diet, lack of exercise and large amounts of steroidal medications administered to him for an auto-immune condition he was suffering from. He absolutely consulted doctors and medical professionals before beginning this fast and was monitored throughout the process until its end. What the film demonstrated was how important nutrition is to overall health and well being. It also proposed how committing to such a program can turn into a habit your body will fall into rhythm with and actually crave. This was not my first encounter with juicing. Back in early 2005, I met a woman who successfully beat breast cancer with the help of homeopathic remedies and juicing. At the time, I was in the early stages of recovery from anorexia and she presented a way in which I could cleanse and nurture my body without that feeling of fullness that so wreaked havoc with my head. 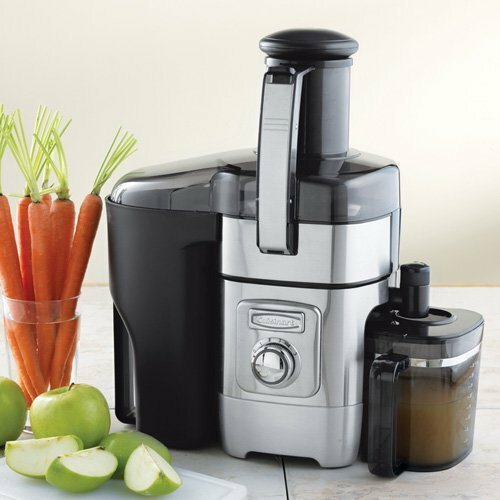 I bought myself a generic brand juicing machine that same day and began extracting the contents of anything green and fruity I could get my hands on. The first thing I noticed was how good my skin looked, but once my therapist caught wind I was subsisting on juice alone, she put a stop to it. I could only juice if it was a supplement to a meal. Since I was still afraid of fullness, my mind said that was just way too much to ask of my insides, so I put the juicer away and forgot about it. Now in a much healthier state of being, there is nothing wrong with supplementing my balanced diet with a little juice. In fact, many registered dieticians agree that if you are otherwise healthy, it is a great way to get your recommended amounts of fruits and vegetables. There are, however, people who cannot undergo a juice fast, which is why it is so important to consult with a physician if you are planning a REBOOT style program. Diabetics, people with nutritional deficiencies and those with kidney disease are some of whom could respond adversely to an all juice diet. Also, people undergoing chemotherapy are cautioned against it while in treatment. With respect to weight loss, it is safe to replace one meal a day, let’s say breakfast,with freshly extracted juice, so long as the rest of the diet is balanced. The boost of vitamins, minerals and antioxidants is a better source of energy than sugar and caffeine. One week ago, I decided to say “good morning” to my body with freshly extracted juice. My parents had a juicer they had never touched and I wanted to finally put it to good use. Call it an experiment of sorts, but I wanted to see how my body would react to having this raw liquid be the first thing to hit my stomach. Normally, I drink a lot of water upon waking and have a coffee. On DAY 1, I pulverized celery, Gala apples, carrots and a little sprig of parsley into a 12 oz glass of energy. Immediately, I felt my taste buds coming to life; they literally tingled after ingesting the juice. During my workout a half hour later, I found that I needed very little rest between sets. My trainer joked, “What are you on today?” The power of the juice, my friend. I went through the rest of my day eating as I normally would, but for some reason, I felt that I could taste things a lot more acutely than before. Salt was saltier; sweet was sweeter – it was kind of amazing, actually. Day 2 was a totally different story. I added beets to the mix. The entire rest of the day I was nauseated and overheated. My face was flushed and I wanted to lay down. Upon waking on Day 3, I realized that I was now constipated. I made beet, ginger and carrot juice that morning. As I proceeded with my day, I felt a tightness in my gut as if there was a gas bubble that was stuck there. Still nauseated and having those odd hot flashes, I decided to eat very lightly thinking that maybe I was coming down with something. Day 4 came and went without any elimination of my gastrointestinal tract and a whole lot of discomfort. I made apple and carrot sans beets and ginger since I had run out of them. Upon waking on Day 5, the tummy troubles were somewhat over. Things were now running smoothly again, but I still had a lingering feeling of tightness in my GI tract that made me uncomfortable. I decided to research juicing recipes to have some variety in my extractions and this was when I came across the reason for all the issues I had been experiencing with my morning juice regimen. Just like prescription medications, certain vegetables and fruit juices in their raw form have…. SIDE EFFECTS. Before I get into the specifics, let me just note that fatigue, nausea, tummy troubles and constipation are all normal when undergoing a juice fast, partly because it is a shock to the system to ingest juice solely. The lack of fiber from ingesting raw juice can make you constipated, while also causing you gas because of all the minerals and enzymes reacting in the gut. What I did was use juice as a first meal of the day followed by balanced meals containing protein, carbohydrates and healthy fats. I did not eat anything with my juice and waited at least 30 minutes to an hour before eating afterwards. Turning poop and urine a reddish color is a normal side effect that those who may not know, may get freaked out by. In rare cases, it can tighten the vocal chords, making it hard to speak. Usually this will happen when ingesting plain beet juice. Also, ingesting plain beet juice can facilitate the creation of kidney stones if you already have a pre-disposition towards them. Beet juice is also known to cause fluctuations in body temperature (hot flashes, anyone? ), nausea and some degree of gastrointestinal distress 🙂 It naturally drops blood pressure, so if you are already on the low side some fainting spells may befall you. Mild side effects include heartburn, diarrhea and upset stomach. Some women report having heavier periods after ingesting ginger because ginger can interfere with blood clotting. Anyone taking medication to slow blood clotting like Warfarin otherwise known as Coumadin, Plavix or regular over the counter aspirin and ibuprofen could risk serious interactions. Ginger also dramatically decreases blood sugar, so diabetics and hypoglycemic folk need to be careful. 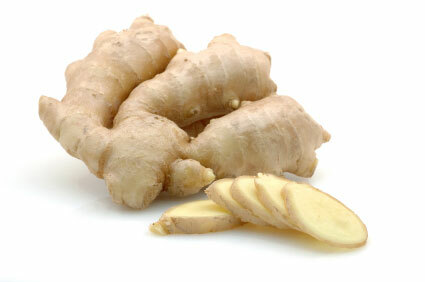 Lastly, ginger is also known to interact with medications for blood pressure and heart disease. Powerful stuff, that ginger. Large amounts of this green could make the uterus contract and cause miscarriage in pregnant women; therefore it should be avoided during pregnancy and nursing. It is also known to cause drowsiness, since it sedates the central nervous system. This is not especially good if you are taking sedatives or planning to have surgery that requires anesthesia. It is recommended to avoid ingesting celery 2 weeks prior to a surgery. It can also increase sensitivity to sunlight, making sunburn, blistering and rashes likely if one is exposed to the sun. Finally, since celery is a natural diuretic (i.e. reduces fluid retention) it taxes the kidneys, our natural fluid filters. If your kidneys are compromised or diseased, celery should be avoided. So long as its not Chinese Cucumber, your standard English, Mediteranean or pickling varieties have only one annoying possible side effect – flatulence. This is due to a compound that can provoke indigestion in some people. well written article. I’ll be sure to bookmark it and return to read more of your useful info. Thanks for the post. I will certainly comeback. It’s a shame you don’t have a donate button! I’d without a doubt donate to this brilliant blog! I guess for now i’ll settle for bookmarking and adding your RSS feed to my Google account. I look forward to brand new updates and will talk about this website with my Facebook group. Talk soon! hi Julia, i browse your site and feel that you have interesting articles to read. I have bookmarked this article and shared with my friends on facebook account.